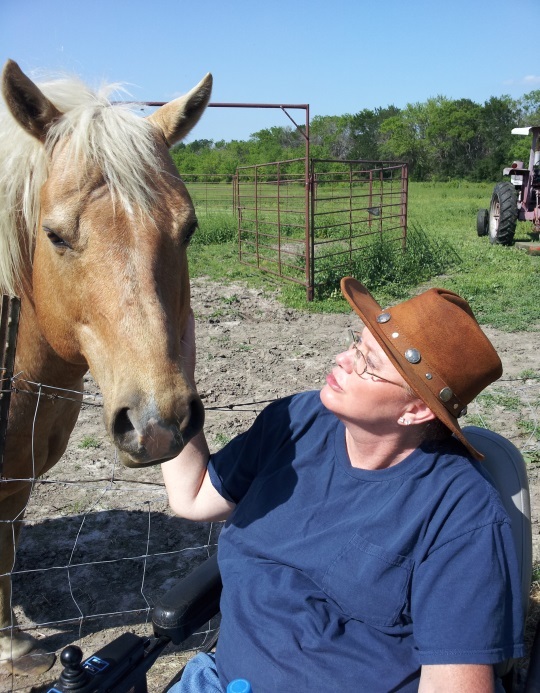 Several years ago, Tina James suffered a life-changing spinal cord injury from a horseback accident that left her paralyzed from the chest down. Tina has recently gotten back into physical therapy to improve her upper body strength and hopes to be able to get a ReWalk computer controlled exoskeleton. 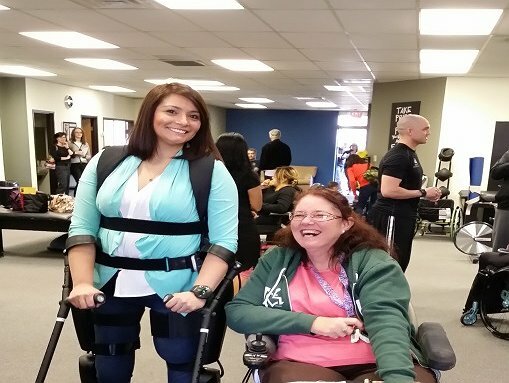 With the ReWalk device, Tina hopes to be able to stand and walk again. Even though Tina has insurance, she has significant out-of-pocket medical expenses. Fees for therapy and training the ReWalk device are not covered and are very high. It will take many months of intensive therapy and considerable funds. To help with the financial burden of Tina’s uninsured expenses, a fundraising campaign in her honor has been established with HelpHOPELive, a trusted nonprofit organization that has been providing community-based fundraising guidance to patients and their families for more than 30 years. All donations are tax-deductible, and held by HelpHOPELive in the Southeast Region Spinal Cord Injury Fund, and are administered by HelpHOPELive for injury-related expenses only. 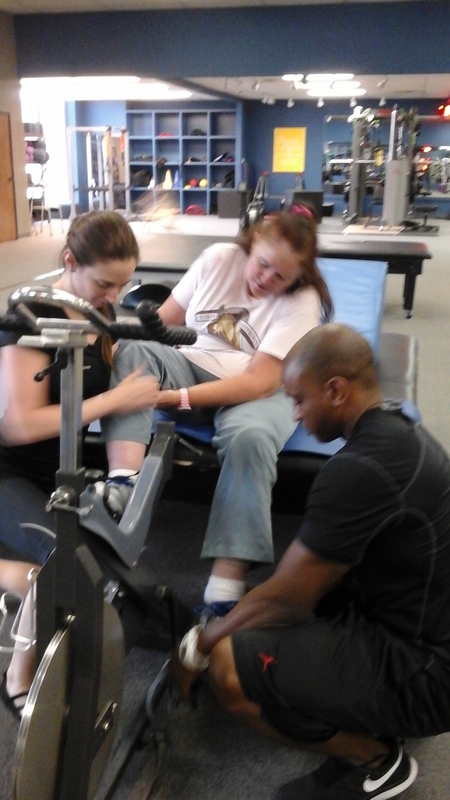 Please consider making a contribution to help Tina towards her goal to walk again. I want to thank everyone who attended my Tea Party. It was a success. Thank you from the bottom of my heart! I am still trying to raise money for the ReWalk system, but i need money for my therapy/training before i can even get to the ReWalk. I hate asking for help, but insurance does NOT cover my therapy/training at REACT. 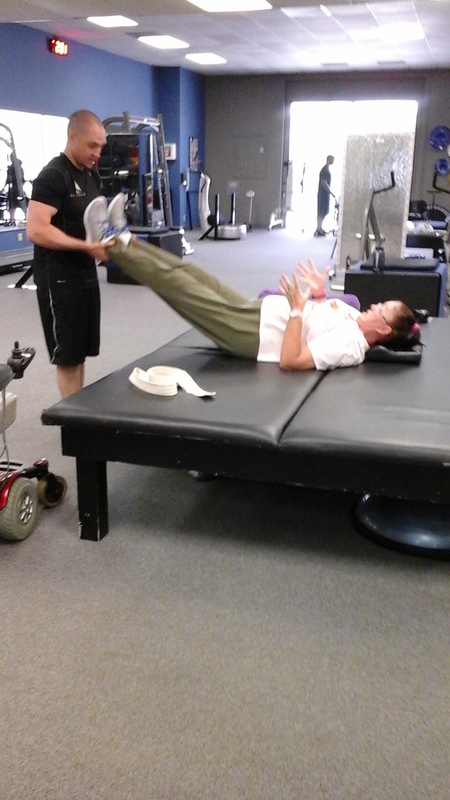 I am adding pictures and will try to upload a video of my therapy/training yesterday, 7/8. Thank you so very much for you help. I’ve added some photos from one of my therapy sessions. I am so excited for you to be able to walk again! It is such an amazing invention and I'm so glad you get to be one of the lucky ones. You are an inspiration in more ways than you can imagine and proof that good Karma comes back to you! Call me. I can help with this. Stay strong. I love you and really want this for you. You can do this chick. Stay strong. Love you. Prayers Tina! If you BELIEVE it you can be it!